USGreentech, global provider of progressive turf infill solutions, is now employee owned after launching an employee stock ownership plan (ESOP). USGreentech focuses on one essential part of the synthetic turf system: the infill. Infill is an integral and necessary component of the synthetic turf system providing stable footing, helping turf fibers stand up tall, and ensuring athletes have a firm, fast and safe system. 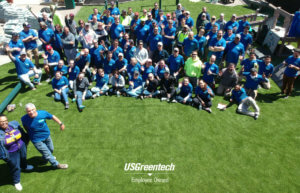 Backed by 40 years of experience in the turf industry, USGreentech understands what it takes to build long-lasting synthetic turf systems with well-vetted components. Their team is made up of Turf Infill Experts who develop progressive infill products for the turf applications ranging from full-sized sports fields to putting greens to residential and commercial lawns. Now operating as an ESOP, USGreentech is able to offer employees the opportunity to share beneficial ownership in the company. "This transition to an ESOP will further drive employee engagement, ensure customer satisfaction, and help attract new talent," explains Joe Motz, CEO of USGreentech. Our company breeds an award-winning company culture ultimately fueled by its dedicated employees. This shift provides those employees the opportunity to more directly benefit from their efforts. USGreentech has always placed great emphasis on developing a sustainable organization built on five foundational values: Championship Quality, Integrity, Think Like an Owner, Innovation, and Self Enrichment, according to Motz. “I have over a decade fostering USGreentech and I am grateful for the many milestones achieved. This incredible journey, however, is not one which I’ve traveled alone. It was made possible because of the strengths, talents, and commitments of our dedicated team members," he says. "It is with appreciation and gratitude that I now share ownership with those who have helped build this organization and will continue to take it to new heights in the future." The move to an ESOP will not change the management structure of USGreentech. Joe Motz will continue to fulfill his current role as Chief Executive Officer. The Executive Team members will also remain in their roles: Valerie Webster, President, and Kevin McDonnell, Chief Financial Officer. In addition, the Company will remain committed to promoting a positive and professional work environment where people matter. 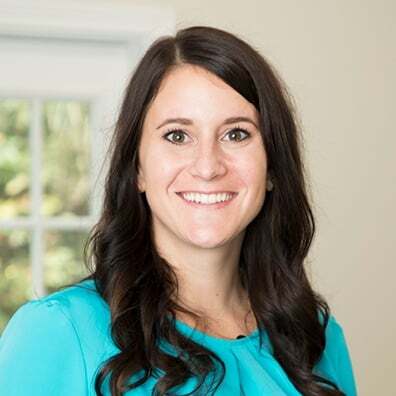 Motz adds, "This move to an ESOP simply underscores the depth of commitment to our employees and the value we place on partnering with our employee-owners to deliver exceptional service to our customers." How is Safeshell, Natural Turf Infill, Performing Six Months After Installation? Did you know that we offer solutions for landscaping needs as well? Because of Envirofill's versatility, it's become the top synthetic turf infill choice for landscape applications. There are also health and safety advantages for people, pets, and playgrounds. © 2019 USGreentech LLC. All Rights Reserved.